If you have any connection with Earls Barton Music, you may be interested in coming along to our 25th Anniversary Celebrations! Plus a 3 course meal! Tickets cost £40 and are selling fast! Tickets available online from Eventbrite.com or email earlsbartonmusic@gmail.com for more information. Following our previously successful singing workshops, we are offering something a little different for 2019. Reacting to requests from our members we have decided to hold a Gospel Singing Course in February 2019. This is a genre of singing that is both lively and fun and will offer a different musical experience to many singers. This course will be a fantastic opportunity to have a taste of a new performing style in the company of other like minded folk. We are extremely fortunate to have a hugely experienced Gospel Choir leader Gareth Fuller to lead this course. Gareth is currently the director of the Wellingborough Community Gospel Choir. Gareth has been with the Wellingborough Choir from the start. He is a well established professional musician and choral director and, since his formal training has worked with choirs across the country as director and vocal coach, drawing the best from every single performer. Choirs under his tutelage have performed with the likes of Sting, Sir Elton John, Luciano Pavarotti, and Eric Clapton. The workshops will take place on Friday 8th and Saturday 9th February. The Friday evening session will be from 7.30pm to 9:00 pm and will set the scene for the full day workshop on the Saturday, exact timings to be confirmed. The sessions will all be in the Earls Barton Methodist Church and the fee for the whole course is just £20 per person – including a buffet lunch on Saturday and refreshments throughout the day. This workshop is open to anyone but there will be an upper limit so get in early! You can book online by clicking on the picture on the top right hand corner of this page or by following this link: Eventbrite – if you choose to pay online there will be a £1.55 booking fee. Please call Nick Chapman on 01604 810989 for more information or to apply by phone – Nick will also have paper application forms. This community event is supported by Earls Barton Parish Council. Registration is now open for our Spring/Summer season 2019. 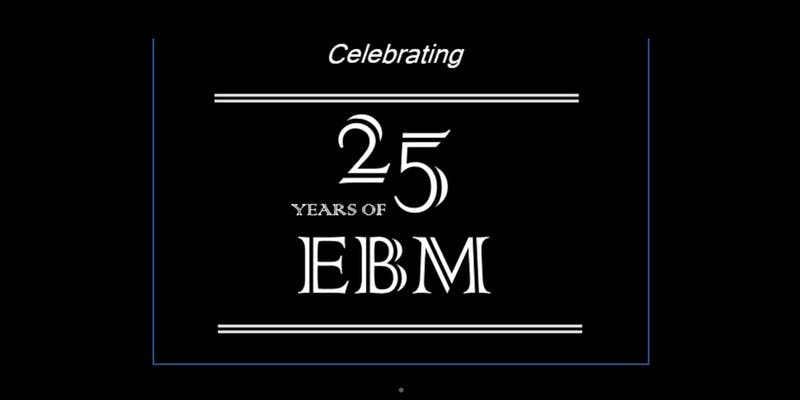 This promises to be a great term as the music has be chosen by our members to celebrate EBM’s 25th year! Our online registration form and links to printable forms can be found here – Online Registration Form you can also register at Earls Barton Methodist Chapel on Tuesday, February 12th, 2019.